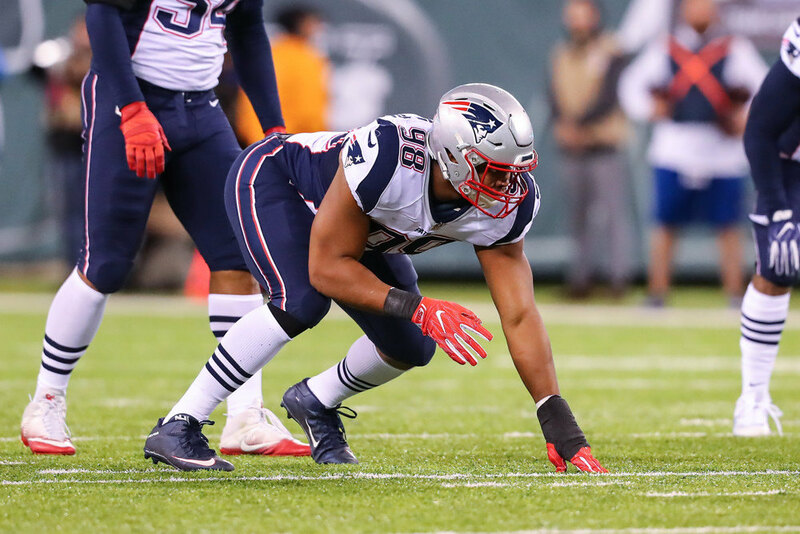 Other than Trey Flowers, is the defensive line at risk? As excited as we were when the Patriots signed veteran James Harrison, this move made it clear that the team was in desperate need of some skill and depth at the defensive end position. In particular, defensive end has been a point of concern for the Patriots after losing veteran leaders like Chris Long to free agency and the retirement of Rob Ninkovich. In addition to these gaps in depth, 2017 3rd round pick Dereck Rivers tore his ACL in training camp. However, this opened the door for players like Trey Flowers and Deatrich Wise to really shine and prove their worth to the team. Hoping to build around Flowers and improve the ends, the Patriots singed 29 year old veteran Adrian Clayborn from the Atlanta Falcons, where he delivered a career high 9.5 sacks. Look to see Flowers, Wise, Clayborn and Rivers to all make the roster for the 2018 season, however there still remains some uncertainty. Flowers is the only proven member to have shown success in the Patriot system, so the hope should be that either Wise or Rivers have a very solid year.